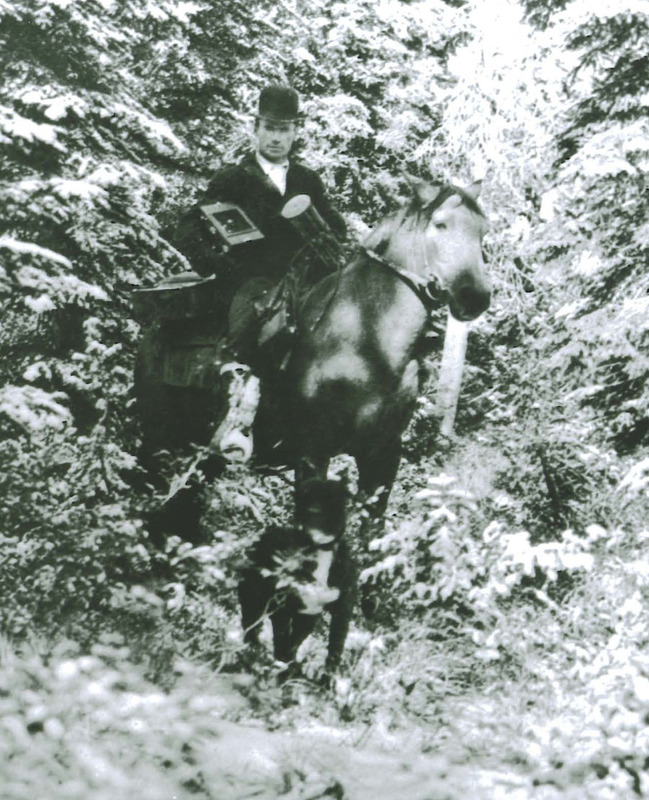 On horseback with his equipment and with his dog, Dennis. and prominent, too, in photographing scenes from the 1910 Fire. Historic Wallace Preservation Society, Inc. Collection.